TUMWATER – Assistant Secretary Robert Herzog has named Eleanor Vernell as the Deputy Prisons Director within the Washington State Department of Corrections, effective July 1, 2017. Vernell currently serves as the superintendent at Mission Creek Corrections Center for Women and has gained more than 33 years of experience in the Washington correctional system. "Eleanor is uniquely qualified to take on this next role in her career," said Herzog. "Eleanor's correctional experience provides a wealth of knowledge on core safety fundamentals and practices among a continuum of diverse incarcerated individuals. From her previous community corrections field service work, she knows how to develop valuable partnerships with a variety of external stakeholders such as local law enforcement and others in the public safety field. Eleanor has a passion for gender responsivity and working on trauma-informed care and education, while still maintaining accountability among the population. She is a great fit for her new responsibilities." 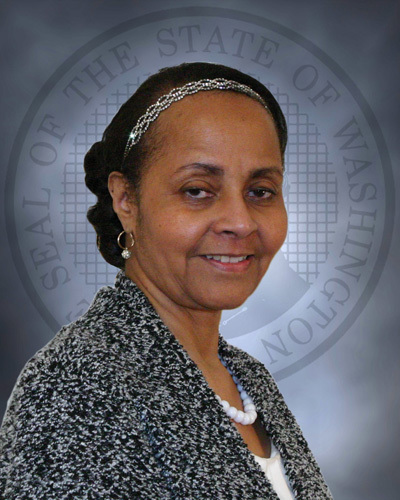 Eleanor Vernell served for approximately nine years as uniformed custody staff and progressively promoted through the ranks of classification counselor, correctional unit supervisor, correctional program manager and associate superintendent at various Washington state correctional facilities. Vernell served as field administrator for a combined four years in King and Pierce counties. Following her community corrections service, she was appointed as superintendent at two prisons – Larch Corrections Center and most recently Mission Creek Corrections Center for Women. During her tenure at Mission Creek, she successfully passed two PREA audits, and implemented and improved sustainability operations, such as gardening, socializing cats for adoptability, butterfly rearing, water utilization reductions, composting, and LED-light efficiency. Vernell has her Bachelor of Arts degree in liberal arts from The Evergreen State College. "Eleanor's had an amazing career, holding high levels of responsibility and persevering through challenging situations," said Secretary Stephen Sinclair. "I've appreciated her leadership and her care for both staff and the incarcerated women at Mission Creek. She is particularly skilled at facilitating collaboration and building teams among all levels of stakeholders, which is an essential skill for her new role." Vernell begins her new duties on July 1, 2017, when Interim Deputy Prisons Director John Aldana retires.